HUD Announces New Multifamily Radon Policy! HUD has recently announced new guidelines for multi-family properties. Here's what you need to know! On February 4, 2013, HUD Secretary Shaun Donovan Announced that they will now require Radon Testing and Mitigation for HUD Multifamily Financing. 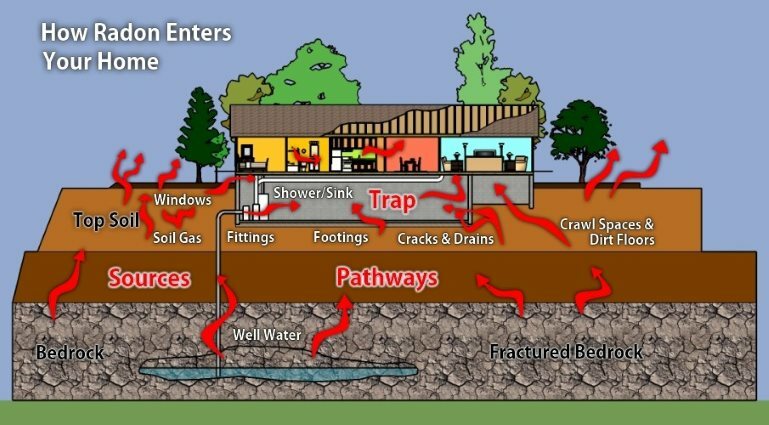 The President of the American Association of Radon Scientists and Technologists (AARST), and board members from Cancer Survivors Against Radon (CanSAR), praised HUD's announcement that multifamily housing that receives HUD financing or re-financing will now require radon testing and remediation if testing indicates a radon problem exists. AARST President Shawn Price attended the HUD announcement at the Advancing Health Housing strategy session on February 4th at the National Building Museum in Washington, D.C., and he was pleased with the news and the attendance of high ranking federal officials. "HUD and EPA have taken a bold step," said Price, "to ensure that those living in multifamily housing will be free from exposure to unnecessary radioactivity in the form of radon gas." "This is a significant milestone for radon risk reduction." Should you have higher than acceptable Radon levels in your home or rental property, please feel free to Contact Our Offices! Disaster Blaster is proud to be licensed by the State of Pennsylvania as a Radon Mitigation Professional (License #: 2848 ) and is happy to assist you in reducing the Radon level in your property.